This paper attempts to provide a transparent and, if possible, a formal hierarchy of the main types of mathematical models used in the description of dynamic processes inside, at first glance, different systems. 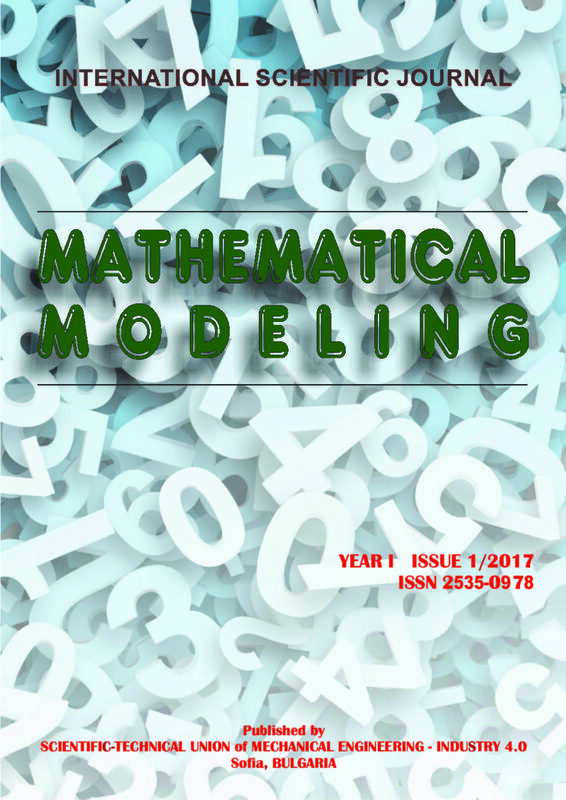 It is emphasized that the mathematical modeling is a natural and universal environment for effective analysis of system processes of different nature. From our point of view, the term "system analysis" means the methodology for classification of real systems (physical, biological, economic, social, etc. ), which is based on the classification of mathematical models that are used to describe these systems. Direct Metal Laser Sintering1 (DMLS) is a revolutionary technology that allows a production of fully functional metal parts directly from a 3D CAD data, eliminating the investment to production tools and technologies which brings considerable cost and time savings. Metal parts made by DMLS technology are fully comparable with casted or machined parts. A range of application of DMLS technologies is very wide – from prototypes, through short-run production to final products. Advantages of DMLS technology are arising along with complexity of parts – more complex geometry of parts (in terms of shape and occurrence of the detail) make DMLS technology even more economically effective. This paper deals with the process by which pure geometric problems, such as determining the position of the triangle or line whose points should lie on circles or straight lines, or that edges of the triangle tangle circles or similar. By moving from the field of geometry to the field of the theory of mechanisms, it is possible to relatively simply describe problem with the system of nonlinear equations to reduce on the problem of finding zeros of the polynomials of a certain degree. Problem of solving a system of nonlinear equations reduces to the problem of linear algebra, which, from the aspect of numerical analysis, is a significant advantage. The paper deals with the solution of a concrete problem. This paper shows that the constrained similarity transformation of surfaces under boundary constraints is a Laplacian preserving transformation. First, a general proof is presented and then the result is verified for mesh-functions through particular examples. The fact that the constrained similarity transformation, subject to boundary constraints, is a Laplacian preserving transformation is used to construct a method for solving boundary value problems for the Laplace’s and the Poisson’s equations. Given any solution to these equations we apply the constrained similarity transformation to get the particular solution that satisfies the given boundary conditions. In the work a mathematical model for the non-stationary motion of liquid homogeneous viscous mixtures through pipelines is constructed. The corresponding integral equations expressing the laws of conservation of mass, momentum and energy are deriving, from which, in turn, we get the corresponding differential equations. The formulation of the initial and boundary conditions is given; the necessary additional relations that close the corresponding system of differential equations are indicated. A numerical algorithm for solving such a system is proposed. The corresponding numerical examples are given. The article deals with forming the adhesive bond of bodies at the crystal lattice level. There is offered a mathematical model for determining the adhesion wear. There are carried out laboratory tests for model validation. There is found that the amount of adhesive wear is nonline-arly dependent on the surface roughness inclination angle. The article reviews concept of quality control systems of absolute gas pressure measuring instruments. Structure of quality control system is proposed. Development ways of method for control validity improvement of absolute pressure measuring instruments are overviewed. The problem of the rigid body oscillations, submerged in the liquid of the uniform depth, as the problem of the potential theory is concerned. Small oscillations of the body and disturbances caused by the presence of a body in a liquid are studied. The problem is solved by the Green’s-function method. The solution for the velocity potential is obtained in the form of a system of integral equations with a real kernel. The article describes the results of analysis of the two acoustic electronic resonators performed using the scanning probe microscope and the software developed in the graphical integrated development environment LabVIEW with the machine vision module NI LabVIEW Vision. The most important surface parameters were measured and analyzed, and the corresponding conclusions were made regarding possible defects and compliance with the reference performance indicators of the two resonators. Discusses qualitative methods of evaluation the layout of pumping equipment implemented in the software. There are various methods of processing expert assessments, analysis has shown that the evaluation of pumping equipment design results for nuclear facilities the best in terms of accuracy, the complexity and time-consuming method is the weighted average expert assessments. On the basis of this method, the technique of choosing the optimal layout decision of several options in the design of new equipment. Implementation of the developed algorithm in a dedicated software allows to automate and optimize the process of selecting the layout in the technical design stage of pumping equipment. In this study boron carbide based sandblasting nozzles were produced by Low Pressure Powder Injection Molding (LPPIM) method, and wear behaviors of the nozzles were examined. The addition powder, addition ratio and sintering temperature were used as input parameters while density, micro hardness and wear rate were used as output parameters in the experimental design. This study consists of 3 steps: 1) production of standard samples and characterization, 2) modeling of proses parameters using Artificial Neural Network (ANN) method, 3) selection of nozzle material and production of nozzle, and testing. As a results of this study, ANN method can be used for modeling of process parameters of powder injection molding since the average value of the prediction error is below 7%, and boron carbide based products can be produced by using LPPIM method. In this study, performances of Ranque-Hilsch Vortex Tubes (RHVTs) were modeled under three different situations based on inlet pressure and the ratio of mass flow rate of the cold stream to the mass flow rate of the inlet stream (ξ) by fuzzy logic approach. 1st situation is the conventional RHVT. 2nd situation is the threefold cascade type RHVT. Here three RHVTs were used. 3rd situation deals with the six cascade type RHVT. In this case, six RHVTs were used. Input-output parameters were described by Rule Based Mamdani Type Fuzzy (RBMTF) with if-then rules. The performance parameters are the difference between the hot and cold stream temperatures (∆T), the cold flow fraction (ξ), inlet pressure conditions. The comparison between experimental data and RBMTF is done by using statistical methods like absolute fraction of variance (R2). The actual values and RBMTF results indicated that RBMTF can be successfully used for the analysis of performance RHVTs. In this paper is presented a six-bar linkage mechanism of the pump for oil extrusion. In this mechanism are introduced higher kinematic pairs. Dimensions and other incoming links are adopted as necessary. For the six-bar linkage mechanisms is carried out the kinematic analysis and for all linkages are shown the displacement, velocity and acceleration. The analysis is performed by Math Cad software, while kinetostatic analysis is carried out using Contour Method, comparing results of two different software‘s Math CAD and Working Model. The simulation parameters are computed for all points of the contours of mechanism. This paper concerns the problem of vehicular traffic flows simulation. We present a continuous car-following model with explicit reaction-time delay. This model is based on the Intelligent Driver Models and eliminates some drawbacks like unrealistic distance between vehicles in a homogeneous flow and instant reaction of a driver. The model is defined by a couple of delayed differential equations. Introducing reaction time explicitly one can simulate traffic flow instabilities such as kinematic waves with a greater degree of realism. We calculate conditions for that the linear stability occurs on a ring and in the finite platoon of cars. The parameters of the model are calibrated according to NGSIM trajectory data. Another method described in this paper allows to estimate parameters according to technical characteristics of the specific vehicle type. Simulating vehicular traffic for large cities with microscopic approach one needs to solve tremendous systems of differential equations. The speed of changes in the size of the components of such systems usually lies in a wide range, as the dynamics and behaviour of the vehicles can strongly differ. We introduce a multirate numerical scheme with a self-adjusting time stepping strategy. The step size for each component is determined by its own local temporal variation. The stability analysis for the developed scheme is performed and the stability conditions are obtained. The use of multiple time steps allows parallel computing. Over the last decades Russian higher education institutions have been actively working in global education world and facing problems of adapting its education system to it. Specifically it concerns system of engineering education which has to overcome problems of the past and face modern reality of Industry 4.0. One of the major problems is low flexibility and adaption ability to rapidly changing external circumstances as well as liner and strict curricula structure. To overcome problems successfully, Russian engineering education has got substantial support of Russian government; system is going to be modified in leading Russian universities. General approach that needs to be implemented is focusing on re-adjusting curricula as the set of alternating study courses and work on engineering tasks. University networking supported by interactive platforms in close cooperation with industry should be also the basic for modernization. In free market conditions the successful operation of enterprises is impossible, if requirements to the product quality are not improved. The article describes the necessity in creation of Quality management system, and specifics of risk-oriented approach in quality management are considered. The selection of methods for assessment of risks is justified, and recommendations on application of these methods during organizational activities’ monitoring are formulated. It is shown that the implementation of risk management is aimed on the achievement of qualitative results and the enhancement of enterprise’ competitiveness. Model of quick response system for production planning is described, main problems occurred during assessment of production options by responsible departments are overviewed and solution for optimization and speed-up of options assessment is suggested.